Once a TV company invited five men from a the Kastam tribe in the South Pacific island of Tanna, to come to England. No Kastam person had ever visited England before. As the five tribesmen were shown around Manchester, they gazed up at the shops, the office blocks, and the estates of houses on the approach roads, and observed, simply but incisively, ‘How can you have so many homeless people when you have so many buildings? I expect we can all think of rational answers to that question; about suitability, personal choice, risk and safeguarding issues. But that question’s sentiment is haunting, challenging, and too easily dismissed as simplistic and naïve. The tribal instinct is to ensure everyone is taken in; given shelter and kept safe. The Old Testament, is peppered with verses that remind us to look after the stranger, the alien and the poor in need. In the gospels we hear Jesus breaking down the barriers of race and religion, of the diseased and the disturbed, the demonised and the ostracised. ‘Just as you helped the least of these, members of my family, you helped me.’ Says Jesus. Supporting this initiative is one way of answering the Kastam tribesman, and the challenge of Jesus, and ensuring that someone who needs a shelter gets one. When I needed a shelter, were you there? 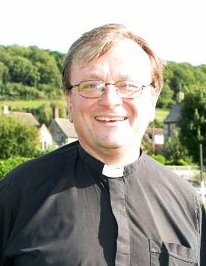 The Revd Canon David Russell, Area Dean of the Wotton Deanery and Rector of the Wickwar Benefice. This entry was posted in Uncategorised on 17th October 2017 by Stephen.